Here is a Christmas card I made tonight. 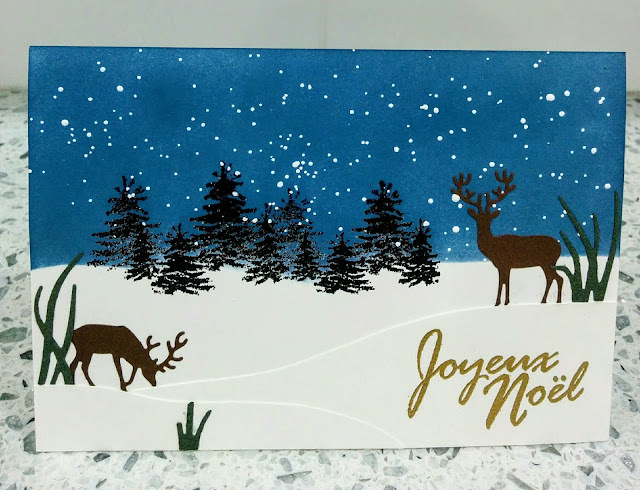 The background was inked with distress ink "faded jeans" and the snow with white embossing powder. Gorgeous card! I love the Winter scene you've created, it's so elegant.